Avventure Bellissime | Once in a Lifetime Experience! Romance, History, Culture - Once in a Lifetime Experience! Romance, history, culture - and a once in a lifetime experience! If you have never experienced it for yourself, it can be hard to imagine the just how impressive Ancient Rome really is. From the Palatine Hill to the Colosseum, and everything in between, Rome is filled with history and wonder that attracts tourists from all over the world. We want to inspire you and show you just how exciting it can be. “The day started with a bang, squeezing past the Italian masses to sip on a piping hot espresso! With energy levels high and excitement building, it was the perfect time to explore Ancient Rome. Starting with the many ruins of Palatine Hill, our imaginations were awoken upon seeing what was left of the grand palaces and temples that one stood there. Wandering under high ceilings, past crumbled walls, we became immersed in the lives of ancient Emperors that once lived there. Engrossed in thought, the meaningfulness of Rome’s history became much more apparent. After gathering our thoughts, we were able to move on, traversing downhill towards the Roman Forum. Beneath the impressive pillars that once supported the majestic Roman Forum, we were left in awe at the sheer scale of what had once been achieved. Making our way to the Colosseum, the rising temperatures and the increasing number of tourists caught our attention. Upon entering the Colosseum, the mass of tourists diminished when faced with the enormous oval amphitheater that once housed the gory battles of gladiators and slaves. From the ruins, it was easy to imagine the barbarity that once occurred. Despite the shade offered by the towering walls, the midday heat took hold. Pictures were taken and energy levels wavered, so after a short walk, refuge was taken in a small café that lined one of the quieter streets behind the Piazza Navona. Feeling refreshed and ready to explore once more, our attention turned to the expanse of shops that surrounded the beautiful Spanish Steps. Looking down to the Piazza di Spagna, we enjoyed a much needed rest after our retail therapy, with a gelato in hand and the azaleas in full bloom. Have we inspired you? Many of our Rome tours follow this adventure and we can give you a truly amazing experience, through the wonders of Ancient Rome and more. 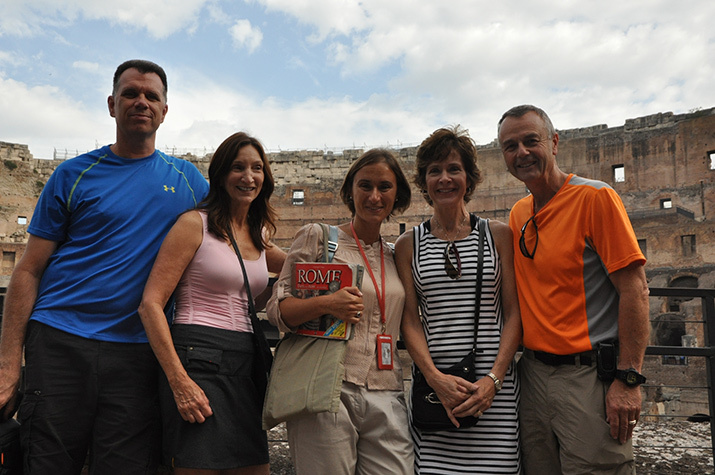 We have small group tours that take you through Ancient Rome, where you can see the Colosseum, Constantine’s Arch, the Ancient Roman Forum and so much more. 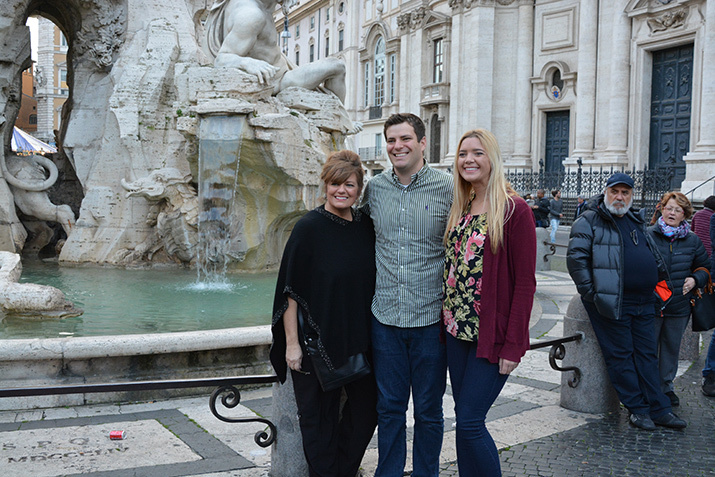 If you would like to explore a little further, our 'Best of Rome' tour, also features the picturesque Trastevere area and the Trevi Fountain where you can make a wish to return to Rome. On our Private ‘Classic Ancient Rome’ tour, you get the chance to experience Rome and learn on a one-to-one basis with our expert guide. 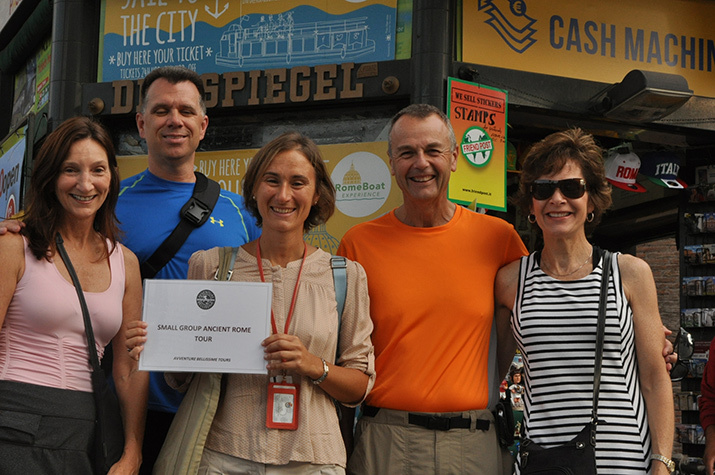 We’ll take you to the most interesting sites and even have a skip the line ticket for the Colosseum. 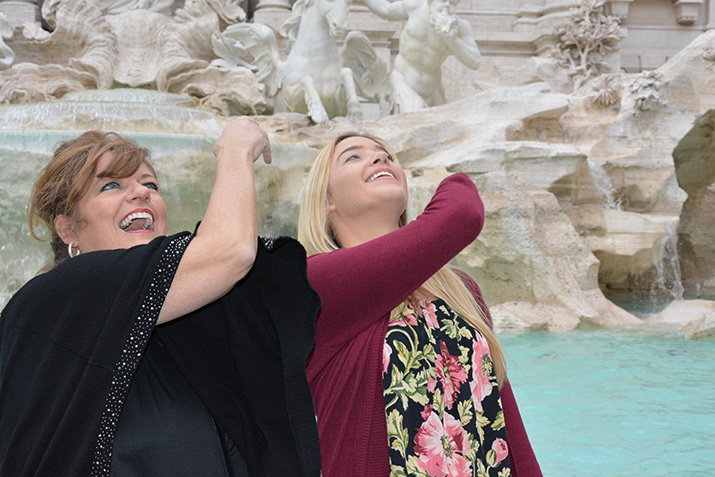 Our guests love getting the chance to experience Italy with Avventure Bellissime, you can see what they have to say on our Facebook page or else you can read about us on Trip Advisor too.